Make your WordPress website private and force visitors to login to see content. You can make whole website private or privatize specific categories, posts, post types and other pages. 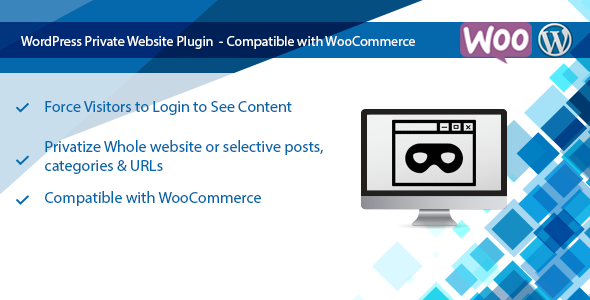 WooCommerce compatibility enables you to private your shop part or selective products, categories and other pages.